BECOME A VENDOR - KINDAH FOUNDATION, INC. 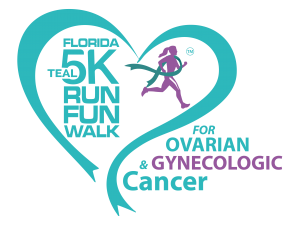 Thank you for your interest and consideration in becoming a vendor partner at the 3rd Annual Florida Teal 5K Run / Fun Walk™ for Ovarian & Gynecologic Cancer, on Sunday, September 23, 2018, at Vista View Park, Davie, Florida. RESERVE YOUR VENDOR SPACE TODAY! Step #2: After reviewing the vendor information packet, then complete page #2 and sign page #3 of the Vendor Information Packet. Step #3: Select the level of your choice then submit your payment through PayPal. Vendor/ Exhibitor space is not considered reserved until full payment has been received and sign vendor docs processed. OFFLINE PAYMENT: We only accept money orders or cashiers checks no more than 30 days before the start of the event. All vendor payment can be paid online through PayPal using your credit or debit card. All non-profit organizations can participate for FREE. However we will need proof of your 501(3) exemption status. We do not permit duplicate vendors for national products with independent distributors such as It Works, Mary Kay, Avon, Pampered Chef, Traci Lynn, Organo Gold, etc. We will, however, allow a minimal number of vendors in the same category. For example, we will allow more than one jewelry vendor as long as they are not selling the same brand/style of merchandise. PLEASE NOTE: Food Truck Vendors and those selling to the general public, you may want to verify with Broward County Park regarding permit and insurance. Do not obtain insurance at the time of application – wait until your application is accepted. Insurance must be in place before the start of the event. However, if you are a Broward County approve vendor you will only need to pay the Food Truck Vendor fee. Food Truck Vendors and those selling to the general public, you may want to verify with Broward County Park regarding permit and insurance. Do not obtain insurance at the time of application – wait until your application is accepted. Insurance must be in place before the start of the event. However, if you are a Broward County approve vendor you will only need to pay the Food Truck Vendor fee. PARK & GATE RULES: Vendors must have the tent/ table ready and open by 5:30 am. You may begin setting up as early as 3:00 am. Set up will NOT be allowed after 5:30 am. Vendors / Exhibitors will not be permitted to “BREAKDOWN” their space until after 1:00 pm or when the event is officially closed. All Vendors should park in the available parking area. Park gate access instructions will be emailed 15 days before the event. All registered approve vendors will receive free vendor access via email. Help with Vendor Registration: We are more than happy to work with you to accommodate your business needs. If you have any questions regarding this process please feel free to contact us at 954-839-6561 or email specialevents@kindahfoundation.org. Vendor Service Volunteer: You will need to complete the vendor application and check that you’re donating your service. All volunteer vendors will receive 10 x 10 space, table and chairs, and the opportunity to have your sample products, flyer, brochures, etc., to be included in the goodie bags. Vendor Recognition: Various promotional opportunities exist such as company name and website included in our social media advertising campaign. Vendors can also offer door prizes, raffle or sample products, business cards/flyers to be included in participants gift bags. IF YOUR CHECK OR OTHER PAYMENT IS RETURNED UNPAID by your bank, we may, if permitted by applicable law, charge a Returned Payment Fee of $ 50 in KY and VA; $40 in DE and MS; $ 35 in MD; $30 in AL, OH, SC, TN, and TX; $25 in AR, IL, MO, NC and WV; $20 in IN; the greater of 5% of the check or (i) $30 in GA or (ii) $25 in LA; the greater of 5% of the check or (i) $25 if the check is under $50, (ii) $30 if the check is between $50 and $300 or (iii) $40 if the check is over $300 in FL. Effective March 3, 2017, each returned item received by Kindah Foundation due to insufficient funds will be electronically represented to the presenters’ bank no more than two times in an effort to obtain payment. Kindah Foundation, Inc., is not responsible for any additional bank fees that will accrue due to the re-submission of the returned item.